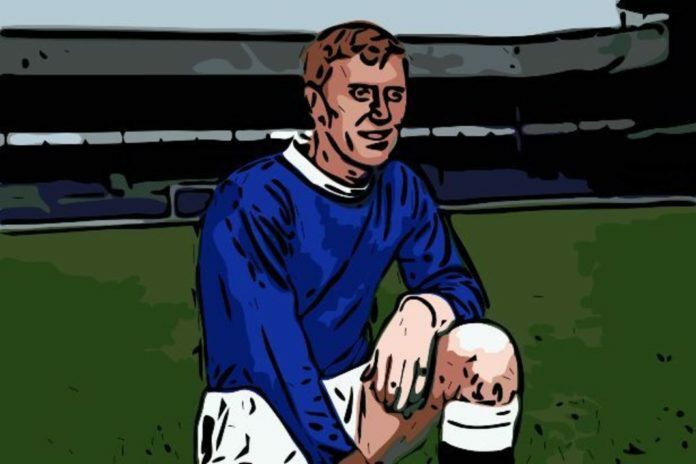 In the early years of the swinging sixties, Tony Kay made the move from Sheffield to Everton. The man of steel, who possessed skill and style in abundance went in a high profile British record transfer fee. This was the hub of the music world and soon to be the centre of the football world. The Beatles and Merseybeat were about to take off and for 18 months he was at the centre of the universe with a Championship medal and England cap to show for his talent. Then his world came crashing down when banned for life for making one solitary bet on the outcome of a match with his previous club. Did the ban stop Tony Kay in his tracks or was it his behaviour? Or maybe both? There’s a long list of players who failed to reach their potential at all levels of the game. It’s argued by many that a combination of the offence and the punishment robbed Tony Kay of a World Cup winners medal. I revisit the story of Tony Kay and wonder whether the crime fitted the punishment. Were England robbed of a football great? Born in Sheffield in 1937, Anthony Herbert Kay made his debut for his local team, the club he supported in 1954. After establishing himself in the first team, his quality quickly made him a fans favourite. Despite winning the Division 2 Championship twice, he decided to join a club with massive potential. In December 1962, after 203 games scoring 10 goals he joined Everton. A dominating figure entered a club being built for success by manager Harry Catterick. The £60,000 fee was the British transfer record. Kay was a left-sided wing half (in old money). A strong powerful midfielder who was described as quick, hard as nails, with a great tackle able to break up play. His use of the ball enabled him to effectively launch attacks and to top it all, a venomous shot. His addition to what was quickly becoming one of history’s great footballing sides added an extra edge to the title challenge. Everything went well and Kay quickly became a fans favourite, slotting perfectly into the team. He made his debut in the FA Cup 4th round against Swindon Town in the No.6 shirt and played in the rest of the games that season as Everton clinched the Championship. His displays thrust him into national recognition and he was included in four England squads before making his debut in June 1963. An 8-1 victory in Switzerland in which he excelled, scoring a stunning goal. Hopes and expectations were high for both Kay, now Captain and his team given their impressive performances the previous season. Despite doing well, Everton didn’t quite reach the heights of the previous campaign, finishing 3rd after a poor end to the season with Kay playing a significant role in the side. It all went wrong on 12th April 1964 when The Sunday People published allegations of match-fixing. Ex Everton forward, Jimmy Gauld, the instigator, had approached Sheffield Wednesday players David Layne and Peter Swan in late 1962, allegedly looking for a target match to bet on. The story goes that Wednesday were playing Ipswich on 1st December in a fixture they usually lost. With that match identified, Layne approached Kay and suggested he could put a £50 bet on their team losing at odds of 2/1. This would net Kay a £100 profit, not to be sniffed at in those days. Persuaded, Layne took the bet and Wednesday duly lost the game. The problem was, bookmakers lost £35,000 that weekend, which set alarm bells ringing. Two years later, Sunday People investigative journalist, Mike Gabbert, who had been trying to uncover the truth about widespread match-fixing allegations in the early 1960’s made contact with Gauld, whose career had finished following a broken leg on Boxing Day 1960 while playing for Mansfield. 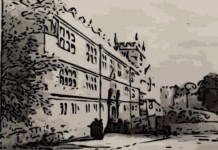 Gabbert enticed him with a cash offer and the story was sold for a fee in excess of £7,000. Gauld had implicated Tony Kay and set up a meeting with the player in a car outside Kay’s home address. It was the first time the two had met and the car was rigged with microphones. Despite the apparent poor sound quality the evidence was used in court, the first time such evidence had been accepted. Kay was convicted of ‘Conspiracy to defraud’ despite having never bet on any other match. Kay was sentenced to four months in prison and fined £150. Gauld, who was clearly identified as the instigator by the Judge was given four years together with a £5,000 fine. In all 33 players were prosecuted for their parts in the scandal with many jailed. Worse was to come with Kay being banned for life from all football-related activities. He was only 27 and at the peak of his powers. Ironically, despite him only ever making one bet on one match, he had been awarded ‘Man of the Match’ in that fateful game by the same newspaper that was instrumental in his downfall. The admission of taped evidence used against Kay was unique in British Courts and created interest. Following his release from prison, Kay was approached by the notorious Kray twins via a ‘go-between’. They had heard about the taped evidence procedure used in his case and wanted more information. Kay, after deliberating for a short time, felt he couldn’t refuse the offer and duly went to London. There, he was met by Charlie Kray who took him to the Kray’s pub where, following a fruitful meeting and hospitality, he enjoyed a night out with his companions before travelling home, job done. Having served his time in an open prison near Leeds he was released after ten weeks, his football career finished. The lifetime ban was rescinded after 7 years but apart from playing some amateur football and casual games, that was it. He wasn’t even allowed to see his son play competitive football. In an interview with the Telegraph, he explains he worked in a bakery, car showroom, hardware shop amongst others. Although harshly dealt with, to this day he regrets what he did and feels he let people down. In an interview with The Guardian, he revealed that a few years later, he moved to Spain after a diamond he sold turned out to be fake, essentially on the run. He was eventually arrested four years later when he visited England and fined £400. Footballers have always liked a bet, haven’t they? Kay was successfully prosecuted for making one solitary bet. Yet the whole saga was driven by a match-fixing scandal. These days there are very strict rules governing anything to do with betting. Players or officials are not allowed to bet on anything, anywhere in the world, related to any match or competition. The rules include the forbidding of passing on information regarding team selection, transfer news, bribes of gifts. Significantly, in June 2017, the FA ended its sponsorship with betting companies following a three-month review. Conversely, there are still 26 clubs with gambling companies advertised on their shirts in England’s top two divisions, 9 of which are Premier League clubs. Betting adverts are widespread around televised football matches and access to betting has never been easier. Do the punishments fit the crime? Recent cases show that the punishments handed out are less severe than those handed out to Kay. Given the checks and penalties for betting are so stringent, it’s amazing that there’s any betting at all, isn’t it? One of the more recent high profile cases involved Joey Barton who initially got an 18-month ban (later reduced by 5 months) that effectively stopped his playing career. He was believed to have made 1,260 bets over ten years. In an interview with BBC Radio 4’s Today programme, he admitted to making around 15,000 sporting bets over 12 years. He went further, suggesting that maybe as many as 50% of current players make bets. “I think if they found out everyone who has been betting and cracked down on it, you’d have half the league out,” he told the programme. Former Lincoln City defender Bradley Wood was given one of the more severe punishments, being was banned for six years and fined £3,725 (with £1,550 costs) for 25 breaches of the FA’s betting and integrity rules. The Liverpool Echo (07/10/2016) in an article about Kay reported that since 2013 the following have been found guilty: Andros Townsend, Spurs (4 month ban/£18,000 fine); Cameron Jerome, Stoke City, repeatedly breaking FA rules (£50,000 fine); Ian Black, Rangers, betting against his side 3 times (10 game ban/£7,500 fine); Dan Gosling, Newcastle United, betting out of boredom while injured (£30,000 fine); Ronnie Moore, Tranmere Rovers, breaches of betting rules (sacked by his club); Steve Simonsen, Rangers, bets on 55 games (2 match ban); Lewis Smith, East Thurrock, 28 bets (17 month ban/£22,865 fine); Martin Demichelis, Man City, 29 bets (£22,058 fine). It seems given the above cases that Kay was hard done by. As the prosecutions were uncovered by the media, it was always going to be high profile. Although Kay’s offences were over 50 years ago, the scare over widespread betting at the time meant that examples were always going to be made of any found guilty. A lifetime ban for making just one bet seems excessive but the court’s interpretation was that it was two players essentially agreeing to lose a match. You also have to factor in that at the time, the story was massive in Britain and rocked the football world. In 1997 his story was told in a TV film called ‘The Fix’ where Jason Isaacs played the part of Kay. Steve Coogan was journalist Mike Gabbert and Colin Welland played Everton boss Harry Catterick. Does he deserve the ‘legend’ status many have suggested? Despite his short career he is extremely highly thought of by both the clubs he played for. Many Sheffield Wednesday fans rate him as one of their greatest ever players. He was a Championship winner with Everton and he received a standing ovation when he was invited onto the pitch as one of 100 Everton legends celebrating 100 years of top-flight football. One Everton website (Dixies60.com) place him in their top 60 Everton players of all time. Impressive for a player, who played only 57 games for the club and was forced to retire at the age of 27. Many suggest the player, nicknamed ‘Cassius Kay’ by many Evertonians, would have been certain to be part of England’s winning World Cup squad in 1966. Some go further and suggest he would have made the team, he was that good. Whatever your opinion about the severity of the punishment, and the apportioning of blame, the whole saga according to many who saw him play, robbed Everton, England and the football world of a potential great.